Stop what you're doing, kick back and witness the best Kenny from the Block parody video ever! This laugh-out-loud video was just sent in by CT reader Derek. His 'you guys gotta check this out!' message coloured us curious, so we hit play and are still laughing now! Here's the video description for a little bit of context. We're now off to watch this all over again! We were such huge fans of the original videos we just had to make one. 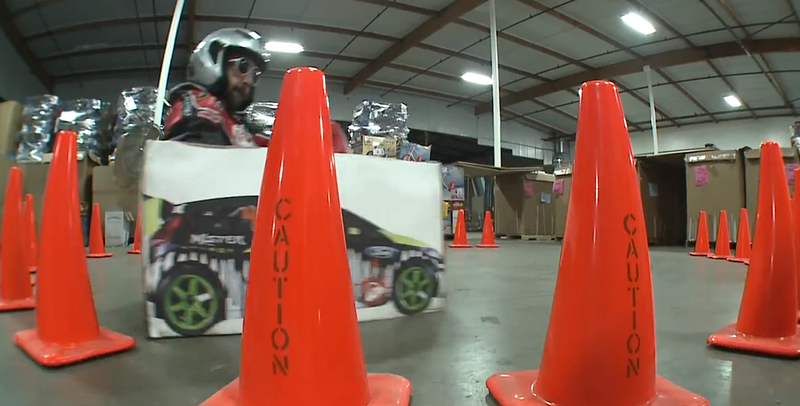 Ken Block's Gymkhana 6 drifting in San Francisco was unreal, so we decided to ask the warehouse team at Razor if we could spend our Saturday in the warehouse filming the original first of its kind Ken Box. And of course, what's a Ken Block Gymkhana video without a Guerilla and a ladder?